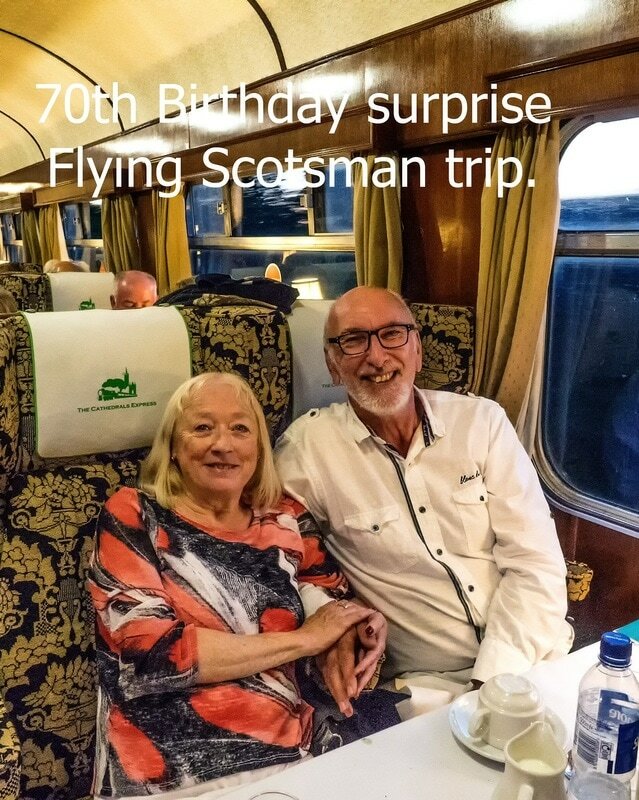 70th Birthday treat - Flying Scotsman trip ! This trip came as a wonderful surprise from my lovely daughter and son-in-law. I would like to thank them so much for this really memorable event. We were also so lucky to have great weather for the trip from Taunton up to Bristol and Bath and back.